Innovative solution for audio support, subtitles and audio descriptionfor the hearing or visually impaired. International Film Festival on Disability, 3rd edition! This festival will take place in Lyon from February 1st to 6th. On this occasion, Joseph Zirah (President of Esii) will present his short film "A double meaning". It will be broadcast on Friday, February 1st from 14h, at Université Lumière Lyon 2! App Twavox : new version available on Android ! Your app is evolving to offer best user experience. 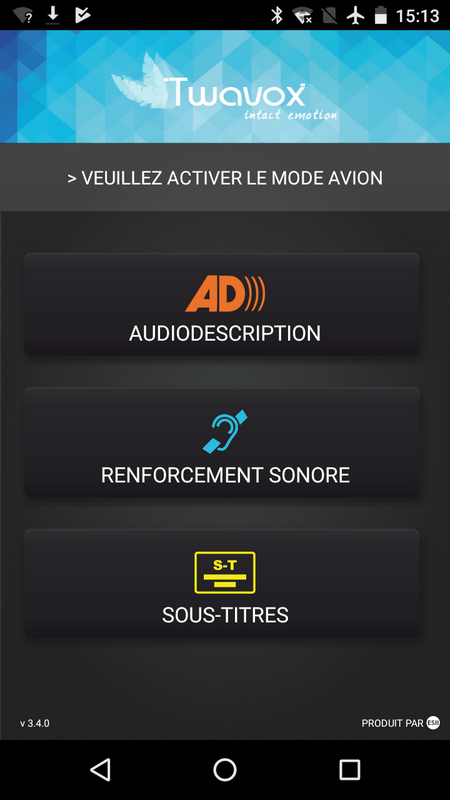 Compatible Android from V 4.0, screen brightness automatically dims while you’re using the app.You can now easily adjust volume with 22 levels available.If Talkback is off, adjust volume thanks to your smartphone buttons. If you’re using talkback, adjust volume directly in the app.Enjoy ! Click Here ! or here to see pics! : Your app is evolving to offer best user experience. 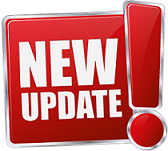 Compatible Android from V 4.0, screen brightness automatically dims while you’re using the app.You can now easily adjust volume with 22 levels available.If Talkback is off, adjust volume thanks to your smartphone buttons. 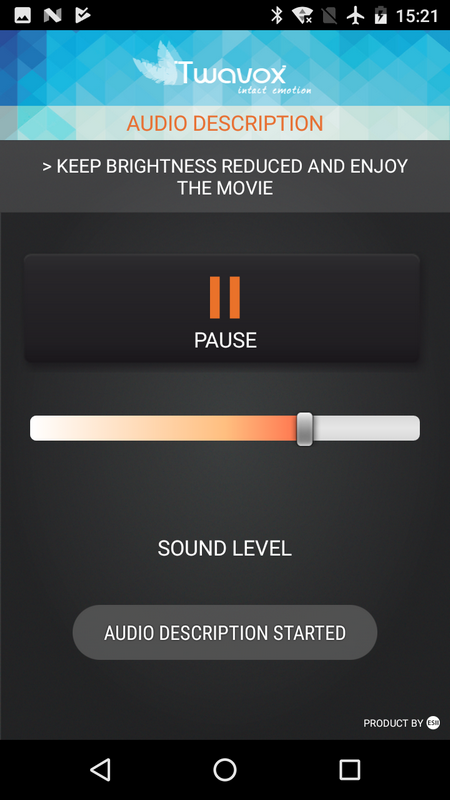 If you’re using talkback, adjust volume directly in the app.Enjoy !